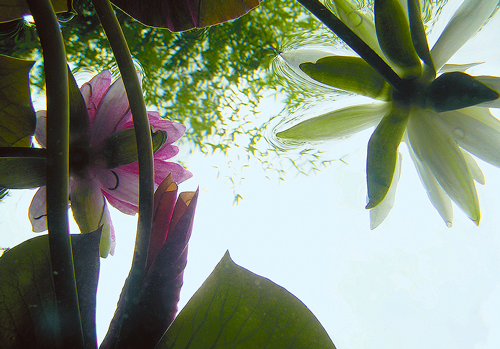 Water Garden offer a wide range of pond UV Clarifiers, surface skimmers, aerators, dyes and water treatments for tackling water clarity issues. Pond water clarity can vary dramatically throughout the seasons if left unaided and murky, cloudy or green water will result. 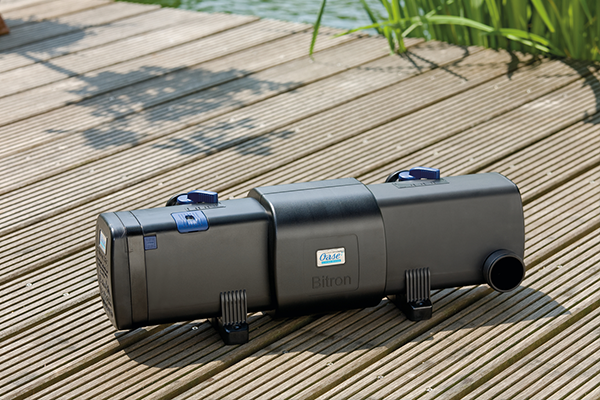 Water Garden Ltd offer a wide selection of specialist equipment to combat water clarity issues in ponds, water features, swimming ponds and lakes. Turbid water is usually the result of excess nutrients entering the water such as fish waste, pollen, grass clippings and leaf litter and unless this is treated effectively, the problem tends to get worse over time. Planting can assist in reducing nutrient but in many ponds this is neither practical nor desirable so technology can be introduced to cater for these problems. Single-celled algae can cause significant water clarity issues as these individual microscopic organisms breed rapidly and exponentially, feeding off the nutrient in suspension and on the pond floor, turning the water into a pea-green soup. The most effective method of tackling single-celled algae is by introducing an Ultraviolet Clarifier (UVC). UV Clarifiers safely emit UV radiation and when algae in suspension is passed through the UV chamber, the single organisms are killed and clumped together. This flocculated algae is then usually passed through a filter to extract from the pond. UVCs require a pump to pass the pond water through and the pump is usually submersed on the pond floor or in certain cases, can be dry mounted externally. 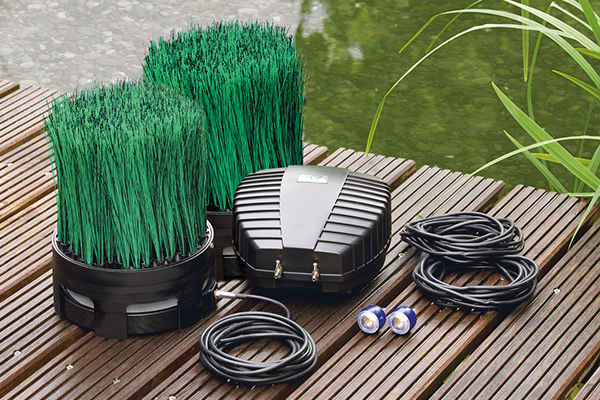 Pond Aerators will also help to reduce problematic water quality issues by aiding water circulation and introducing vital oxygen into the water column. This in turn will aid the growth of friendly aerobic bacteria which will help to break down the biomass on the pond floor. Surface debris skimmers are ideal for extracting leaf debris and foreign matter from the surface before this has the chance to sink and decompose. We also offer a range of specific water treatments to tackle issues such as murky water, string algae (blanket weed) bloom, invasive duckweed (Lemna Minor) bloom, in addition to offering water test kits to monitor the water quality parameters within the pond. Please feel free to email or call our team of experts to solve your water clarity issue.